RATE ON THE STREET IN IRAQ IS 120 DINARS TO ONE (1) USD. Tony: At 120 rate, ONE million dinar equals $8,800.33. I’m getting it from more than one person. That is a BIG rate change you guys! Told we will see the rate change in 72 hours or the total RV in 72 hours. Ray: . . .How do you like the new intro? Member sent it to me. I told you it’s going to be a crazy day today. LOL. CBI has come out tonight and stated they have not removed Alaq and he is still the Governor of the CBI. They are saying reports are not true of a new CBI Governor. #wearethepeople. Tony: Goooooooooood Morning, TNT! Who takes the time out of their day in their lie to just create something like that? I don’t even know who he is. I do want to say “Thank you.” It’s really appreciated and I do like it. I think it was a guy. So, we said it was going to be crazy on Friday. All the craziness coming out. Good time for them to do the RV. Everyone was wondering what was going on with the rates and everything else. Our person in Iraq had told us last Wednesday that the rate was 1:1 and we still haven’t seen it. Told you then Kurdistan usually knows something few days before Baghdad and sometimes physically shows you things so you can see them. For years we got information ahead, often times up to a week, before it happens. So we were waiting for it and kept calling our people on the street to see if they were seeing it 1:1. They kept saying, No. Haven’t seen the lower denom’s when we specially had information they were out. This was from the same guy that told us it was 1:1. Banks on Friday they said this will never make it to Thanksgiving. Fast moving, close to happen. Last night, around 10 EST I get a call from the banker and they are saying Monday, Tuesday it’s over. We should see this go through. That’s good. Mahdi was to have vote on 8 ministers today. Then an article comes out and Mahdi is not doing the vote until next week. It doesn’t matter because also got a call at 3 am this morning saying the rate changed in Iraq. He said the USD exchanged yesterday in the markets, on the street was at 120. Today the same 120 dinars to the USD. On TV saying all trades with Iran will be with the Dinar. Somebody do the math and tell me what it comes out to. I”m not going to tell you guys till somebody tells me what that rate is. That was this morning so this is the 2nd day so that is the rate they have over there. Banks telling me we are going to see a change. Today or tomorrow or after 72 hours we should see a rate change on the CBI. One of two things could happen: Could change to 120 dinar to the USD and that means all 72 banks in the US could see a change in the next 24 hours to reflect the same rate. If it goes International or doesn’t go International see that. MasterCard put out an article yesterday that MC’s issued today in Iraq to be used Internationally, EFFECTIVE TODAY, MONDAY! One million dinar = $8,800.33. I should be able to go to the bank tomorrow and get $8,000 for my dinar. Should be more craziness as the rate is about to SHOOT UP! Look for a bigger change, which we will tomorrow. CURRENT WINDOW: Tony: Last night, 10 EST, . . . call from the banker . . . saying Monday, Tuesday it’s over. We should see this go through. USD exchanged yesterday in the markets, on the street at 120 dinar. At 120 rate, one million dinar equals $8,800.33. Should be more craziness as the rate is about to SHOOT UP! Look for a bigger change, which we will tomorrow. Tony: Told we will see the rate change in 72 hours or the total RV in 72 hours. . . They are saying, “Don’t worry, don’t worry. It’s over!” . . . I haven’t called the bank today to see if the rate has changed or not. $8,000 per million is better than it was and we know things are moving forward! We’re on the way. The roller coaster is finally starting to slow down and come to a stop. IRAQ: RATE ON THE STREET IN IRAQ IS 120 DINARS TO ONE (1) USD. Tony: It’s at .83 right now. Not that far to go to be 1:1. At 1:1 it will be International. If they were trading with Iran and I bought a bottle of water for $3.00. If I could no longer give you $3 USD you now have to give me thousands of Dinar. Iraq doesn’t want to do that. Nobody wants to do that. . . so just change the rate and that makes more sense. CBI: No updates on the ATM’s. Mahdi is ready to name six of the remaining eight ministers. Parliament: Vote on the remaining ministers or whomever Mahdi presents to Parliament is scheduled for next week. Vietnam Dong: Tony I have been telling you for years to diversify. Every week this does not happen buy more Dong. Iran: 85% of Iraq’s imports are from Iran. Tony: Iraq has not been able to build themselves up yet to sustain themselves. They are despondent on Iran for electricity, car parts, food, etc. Could they (Iran) hurt Iraq’s economy? Sure they could cut off the electricity, water, etc. But they (Iran) would be cutting off their nose to spite their face. Iraq announced this morning they would only trade in Dinar and Iran came back they wanted only the USD. Iran trade in Euro? Tony: I don’t see that happening either. UNITED STATES: BLACK FRIDAY: Tony: Supposed to be a line at the bank and the exchanges will just blend in with everything else. Banks: No information on alert level. Tony: Banks on Friday they said this will never make it to Thanksgiving. Last night, around 10 EST I get a call from the banker and they are saying Monday, Tuesday it’s over. We should see this go through. . . Have not talked to any exchange locations today. . .I haven’t called the bank today to see if the rate has changed or not. $8,000 per million is better than it was and we know things are moving forward! Lower Denom’s have not been seen on the streets yet. Report they are out and seen but Tony does not have information they are on the streets yet. Same source told him 7 days before the rate changed that it would change. PAY IT FORWARD: Remember 10 days following the RV make a nice/substantial gift that will help others. EX: Make it somebody’s gift for Christmas; tip a waiter extraordinarily; help a homeless person; payoff the lay-a-ways at a store, etc. 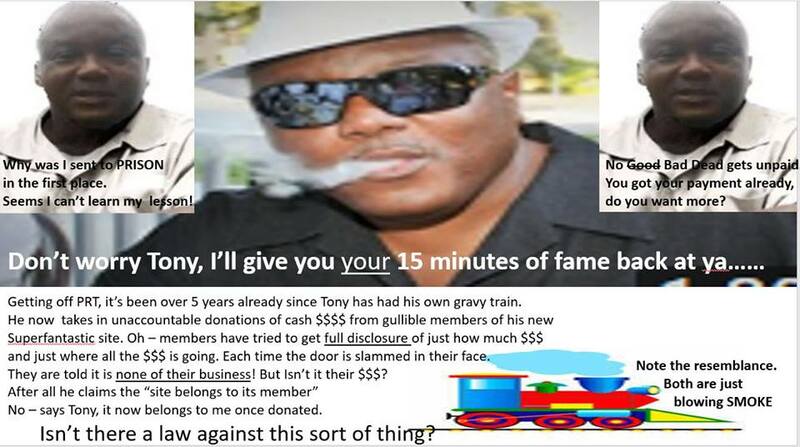 ZIM Information: Tony said no requirement for a plan at any bank to exchange the ZIM. Tony was told years to purchase the 100 Trillion and 50 Trillion ZIM notes and the rate would be between .11 up to .22. The new government in Zimbabwe does not agree with the plan of the old government. Tony: US found out they did not have as much gold as they said they had. I told you back in August and September they walked out of meetings and everyone said not to worry about it they would come back. I told you last week that if it does not go by the end of the year it will not go in this basket. I told you the bank people are taking the ZIM. Saying, going to take it all. There is a rate they have for it and their instructions are to exchange it when it comes time to exchange. I have also been telling you for years to diversify. . . I’m feeling good about it. I don’t believe all this crazy stuff of $1+ they put out for the ZIM. Do believe they will remove 6 zero’s as that is the only way it could happen. – Why can’t China go ahead and RV the Dong? Tony: Again, the Dong, ZIM, Rupiah can’t go for the same reason you cannot build a house without a foundation. The Dinar is the foundation. The whole GCR was built around the Dinar. Until it RV’s the GCR won’t happen. Those countries involved in the Paris agreement received Dinar in lieu of debt. – Will this proceed in stages or all at once? Tony: Over there they think it will happen in stages. Banks here say before Thanksgiving. Caller: Have you heard any feedback the MC’s have actually been issued or just changed electronically? Tony: They already have MC and using it. This article just came out on Saturday and said effective TODAY, it would be International. – Obama held this up? Maliki still a problem? Hold this up still? Tony: Let’s take Obama first. . . Obviously when we were going through the Obama stage we did not know that was his plan (build up the country). He was only handing out 10 things at a time to get done. He did not layout the whole vision for us to see and understand. All the trading laws; stopped smuggling; end the corruption, etc. If we’d have known that, none of us would be here today. Nobody knew it in advance. They put Maliki in charge. He got in office and said “screw you.” I’m in charge and I’m going to tell Shabibi to turn the CBI over to me. Stealing all the money from the country. He opened it up to ISIS and told them to come in. Told the military in Mosul to drop their weapons and retreat. Not 1,500 ISIS came in. 15,000 ISIS came in. Why? He wanted to become a Dictator. In comes Abadi and the US said we tried this with Alawi, and Maliki now we going to try it with you. Mahdi did everything. Changed the laws. Maliki could have done that and 8 years ago we would have already had the RV. Here we are today. Maliki has protection in place, right now today. They believe as we do, “innocent until proven guilty.” Just like over here there integrity commission has to investigate it. This is what he did and why we want to hang him. You can’t just go get him. You have to prove he did something. The big fight right now is over the Interior minister, the ?? minister and the Integrity minister because they will decide the situation. It’s why they are fighting over those positions. It will affect the banks. Once these investigations get started, Mahdi needs someone in their who will support him. . . Maliki wants someone in their who will cover up what he did. Tony . . . Okay guys All I can tell you is things are moving. That was last nights info, 3 am info. I’m sure things are happening right now. Be making calls and get some updates. Will tweet it out and if we need to do another call we will. If I was you I would get ready so I don’t have to be ready. Enjoy the rest of your day. Ray: Any hour, any minute, any day!